Muxtape has been reincarnated and has come back as a minimalist platform for bands to promote their music and listeners to create mixes. 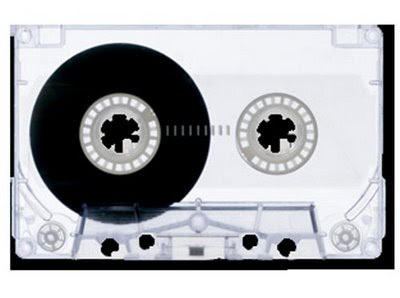 Muxtape started out in March 2008 as a site where you could upload your own MP3's or selected MP3s from a library on their website and create well a sort of online playlist/mixtape for anyone to hear. By August 2008, the RIAA had shut the whole thing down. It's a long story and if you're interested in hearing the Muxtape version, here it is. Muxtape is now picking itself up, brushing themselves down and starting again only this time their goal is (as quoted on their website) "facilitating the discovery of new music" and you'll still be able to create a mix but only from the music available on the site. They declare that "artists will never be forced to display ads" and "in addition to streaming music, we will enable bands to easily sell downloads, issue tickets, create and sell merchandise, network with other bands and listeners, and track the way their music is being heard across the system. An API will be available to expand the platform even further." Apparently we'll have to wait a little longer for the full whistle and bells website but in the meantime the Muxtape homepage is featuring 12 very basic profiles of artists (Of Montreal, Francis and the Lights, Cexman, Adron, Girl Talk, Dan Deacon, Apes and Androids, Old Gold, Reggie Watts, Amanda Palmer, Tony Bambino and Vulture Realty) with other artists being encouraged to sign themselves up for free shortly. The site is looking extremely minimalist right now i.e. there's really nothing much to see so I'll be keeping an eye out for updates over the coming weeks and hopefully soon there will be something more for me to review. It's an interesting angle on things - could give a lot of competition to a lot of other sites. I wonder how the financial model behind this works.